As the Christmas day approaches the feverish activities reaches its peak. Ingredients for the Christmas cakes and cookies are shopped from the choicest of specialty shops. Guest lists are made and menus decided with much animated discussions. Homes are spruced up, with whatever paint or polish touch-ups needed to make it look absolutely spotless. It is time to shop for new furnishings and linen so that freshness comes into the home to welcome the Lord. Dried fruits and nuts are soaked in rum and kept away till they are needed for the cakes and cookies to be made for the big day. The centre pieces that steal the show are the Christmas cakes and baked goodies. Goodies smeared and loaded with the richness of chocolate and whipped cream. The delectable layered treats with the goodness of fruity surprises are homemade and exchanged as gifts on the Christmas day. On the Christmas Eve sincere Christians will not miss Midnight Mass which is held to rejoice the birth of the Lord with prayers, hymns and carols. People come to Church dressed up in their new clothes and pray with full devotion. Greetings of ‘Merry Christmas’ reverberate in the air and it is nearly at dawn that they enter their homes for a short nap if at all there is time for it! The children are restless for their gifts and early Christmas morning they rush to where their gifts await. As gifts are exchanged, the cake is cut, vintage wine brought out and members of the family toast each other and wish for happiness and prosperity. The meal most often relished on the occasion of Christmas is the family Christmas dinner. In India due the diverse regional difference the main dish can be stuffed-chicken or turkey served along with stir fried vegetables and a rich sauce that oozes with the aromas of local spices used in the dish. Other popular items include Chicken-and-Spinach Casserole, Barbecued Chicken Lasagna, Chicken Cutlets, Vindaloo etc. Chicken or mutton biryani and sometimes the expensive turkey biryani is prepared and consumed widely during the Christmas time. While, vegetarian menus include Vegetable-and-Rice Casserole, Vegetarian Shepherd’s Pie, Corn-and-Cashew Cutlets, Mint Salad, etc. Desserts like home-made Banana-Chocolate Pancakes, Christmas Plum Cake, Chocolate Cups with Chocolate Mousse, Eggless Pineapple Mousse, Frozen Fruit Pudding, Apple Brandy Cheese Cake, Cherry Berry Cheesecake,and Quick Strawberry Cheese Cake,among many others ensure that you wind up the Christmas meal merrily. Press conferences, shoots, sessions and meetings are keeping me busy this week. Yesterday, the entire day was dedicated to the grooming sessions for the upcoming Master Chef Season 3 with Star TV, while in my office studio second day shoot of “Maa Ki Daal”- show was going on. The winners of Maa Ki Daal contest held in different societies, malls and all over Mumbaiare participating in the show, which is being hosted by Chef Harpal. This show has already generated a lot of interest amongst all and the buzz is getting stronger. Tata i-Shakti Dal (pulses) -the main sponsor of the show is quite upbeat about the outcome of the events and how the show is shaping up. Chef Anupa from my team is judging the dal recipes prepared by various contestants and I am sure she must have not eaten this much of dals in her entire life! This show is really turning out to be very special; recently my mother graced the office sets with her presence and cooked her special Maa Chole De Dal. Her dal recipe was quite a hit and we both (Alyona and me) immensely appreciated it. Also, “Secret Recipe” season 2 is in full gear. 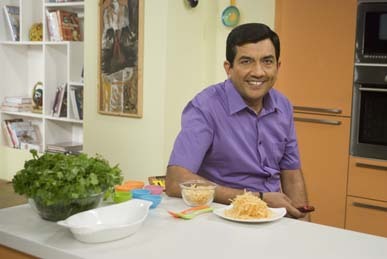 The show went on air from December 15, 2012 at 7.30 pm on FOODFOOD and was quite a hit. Don’t miss the upcoming episodes! Next the very important cause of Autism cannot be missed. So, as and when time permits yours truly is training and running around to show support and solidarity to the worthy cause. I am giving my support to The Forum for Autism, a registered Charitable Trust, which is the parent support group, formed to help out parents of the Autistic children in our society. United Way of Mumbai is the Official Charity Partner to the Standard Chartered Mumbai who is organizing a Marathon run in January 2013 to spread awareness and raise adequate funds. Do not forget to participate. Etymologically speaking, Christmas is derived from an Old English word: Crīstesmaesse, which means “Christ’s Mass.” Christians celebrate Christmas Day as the anniversary of the birth of Jesus Christ, a divine leader whose teachings form the basis of Christian religion. Birth of Jesus – Around 2000 years ago in Israel, Mary was living in Galilee of Nazareth and was engaged to a Jewish carpenter, Joseph. An angel appeared in her dreams and explained to her that she would conceive a son by the blessings of the Holy Spirit. She would carry and give birth to this child and she must name him Jesus. At that time, Caesar Augustus decreed that a census be taken, and every person in the entire Roman world had to go to his own town to register. Joseph was required to go to Bethlehem to register with Mary. On their trip to Bethlehem, Mary gave birth to Jesus in a stable. Out in the fields, an angel of the Lord appeared to the shepherds who were tending their flocks of sheep by night. The angel announced that the Savior had been born. Suddenly a great host of heavenly beings appeared with the angels and began singing praises to God. As the angelic energies departed, the shepherds decided to see the baby and spread the word around. There they found Mary, Joseph and the baby, in a stable. For his first thirty years, Jesus lived a traditional Jewish life, working as a carpenter. During this time, all of Israel was under Caesar’s Roman dictatorship, including Bethlehem. In his thirties, Jesus began his public teaching and display of recorded miracles. Over a three year time-span, Jesus’ reputation spread nationwide. The Roman governors and rulers of Israel’s provinces and the leaders of the Jewish people (the religious counsels) took note of him. To curb his following and teachings, Jesus was brutally tortured and then hung by his hands, which were nailed to a horizontal wooden beam (cross). This method of execution restricted the airflow to his lungs, killing him in three hours. However, according to more than 500 witnesses, Jesus returned from the dead three days later, and over the next 40 days journeyed in both the southern and northern provinces of Israel. To many, this was conclusive proof that Jesus was God. Christmas phenomenon has been around for more than two millennia. People around the world have been observing it with traditions like exchanging gifts, attending the mid-night mass on 25th December, decorating the Christmas tree, leavingout the chocolate cookies and milk for Santa and last but not the least listening to Uncle John talk about his hernia removal surgery while you are trying to enjoy yourChristmas cake! Christians celebrate, Christmas Day as the anniversary of the birth of Jesus, a piousleading light whose teachings form the basis of the Christian religion. In India, the colonization of British till 1947 lead to percolation of this religion and its teachings amongst certain sect of Indians. Christianity in India is a minority and around 3% of its population observe Christmas. Christmas in India is also known as “bada-din” (the big day). Christians in India decorate pine or banana or mango trees (this varies from region to region) during Christmas. They also light small oil lamps as decorations and fill their churches with red flowers. They give presents to family members and baksheesh, or charity, to the poor people. In India, the poinsettia is in bloom and so the churches are decorated with this brilliant red flower for the Christmas Midnight Mass. In South India, Christians put small clay lamps on the rooftops and walls of their houses. At home families prepare cakes and cookies and traditional regional sweets. The Midnight Mass precedes the Christmas day when the church resounds with the joyful singing of Christmas carols and thanksgiving. The Christmas dinner is an important affair, where the whole family sits down together for athanksgiving meal, which includes Christmas Cake, Christmas Pudding and Roast Chicken or Turkey with all its traditional trimmings and numerous other dishes. Feasting and merrymaking takes precedence during Christmas. Though each region has its specialties, it is an exciting opportunity to explore the newer possibilities of a sumptuous array of X’mas goodies this Christmas. Prepare these yummy treats suggested and do not forget to share it with your family and the much-loved Uncle John! Its 12.12.12 today…a special date to remember as it happens once a lifetime! Nothing unusual, just the usual happenings will go on as the day moves ahead. First things first, attended the India Food Service Forum 2012 at Bombay Exhibition Centre this morning. Was invited to speak on the topic “bringing out the best of the food entrepreneur in yourself” to an audience with professionals including chefs, restaurant owners and food writers. It was really great to meet the zealous crowd and interact with them. Hope I was successful in inspiring them, as well I could! Besides this, flew to Kolkata on December 7, 2012 for the first round of auditions for Master Chef India Season 3 and had a super time with my co-judge Chef Kunal Kapoor and the ever-enthusiastic Kolkata crowd. The city of joy always has great foodies to offer, and this time we managed to choose some of them to compete for the Master Chef Title. 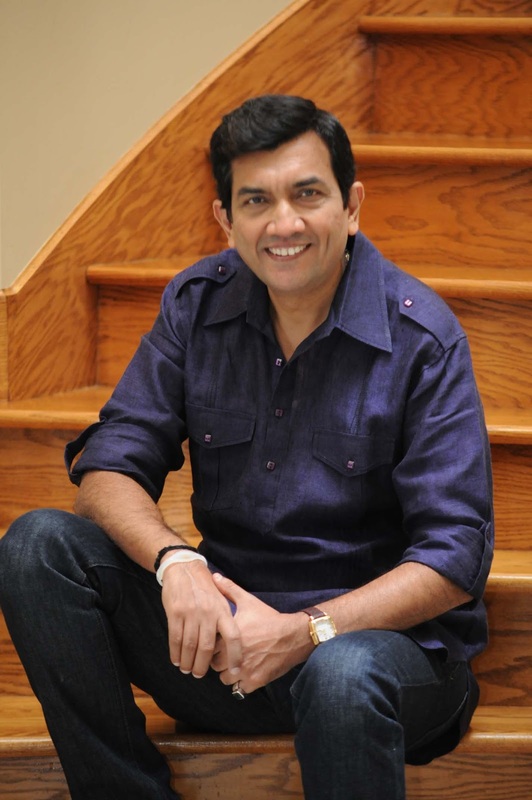 The next round of auditions is happening in New Delhi, so will be catching the flight on December 14, 2012 to be there, the competition already seems fierce with all the talent around and I can say that its going to be tough to choose the best! Returned and had a lavish dinner at home with some close friends and acquaintances on Monday with a menu that included dishes like Mutton and Veg Biryani, Rawa Fried Fish, Palak Raita, Chocolate Shells stuffed with Mango and Saffron Mousse to name a few. Enjoyed the time to the fullest! Also, our channel FoodFood is now on Tata Sky – so tune into channel 572 and enjoy your favourite channel and khushiyon ki recipe 24X7! Yesterday, started with the auditions of “Maa ki Dal” with Chef Anupa judging the dal recipes at a housing society in Goregaon – a new programme, coming very soon on FoodFood. The shoots are to begin in the office studio from December 17, 2012 and to go on for three days. Besides all this, Youtube shoots with some contestants of FoodFood’s “Secret Recipe” Season 1 are going on in the office studio along with some recipe trials in the kitchen to go on the website. “Mummy ka Magic” host and a dear friend Amrita Raichand will also be shooting some fun recipes for our Youtube channel very soon! Its that great feeling again…The Yellow Chilli chain of restaurants just celebrated over a decade of excellence in innovative Indian Cuisine at Pune, and just after that came another grand news – “The Yellow Chilli Cookbook” won 2 more titles – ‘Best Indian Cuisine Book’ and ‘Best Chef Cookbook’ at the Gourmand World Cook Book Awards 2012. Earlier this year, it already had been a winner at the International Book Awards 2012. After launching the first TYC restaurant in 2001 in Ludhiana and satisfying patrons with our ever-innovative and delectable Indian cuisine served there, they had been requesting me to share The Yellow Chilli recipes with them and thus the seed for this book were sown. Choosing the recipes to go into this collection was not done overnight. All the outlets had to be surveyed, the dishes that are best sellers had to be pulled out, scaled down to fit four portions perfectly and then triple-test them. Adapting the recipes for home use was as enjoyable and educative as they were for the restaurant. Today, The Yellow Chilli Cookbook is ruling the hearts of many and has become bestseller. Feels super thrilling to know that all our hardwork has been aptly paid off! 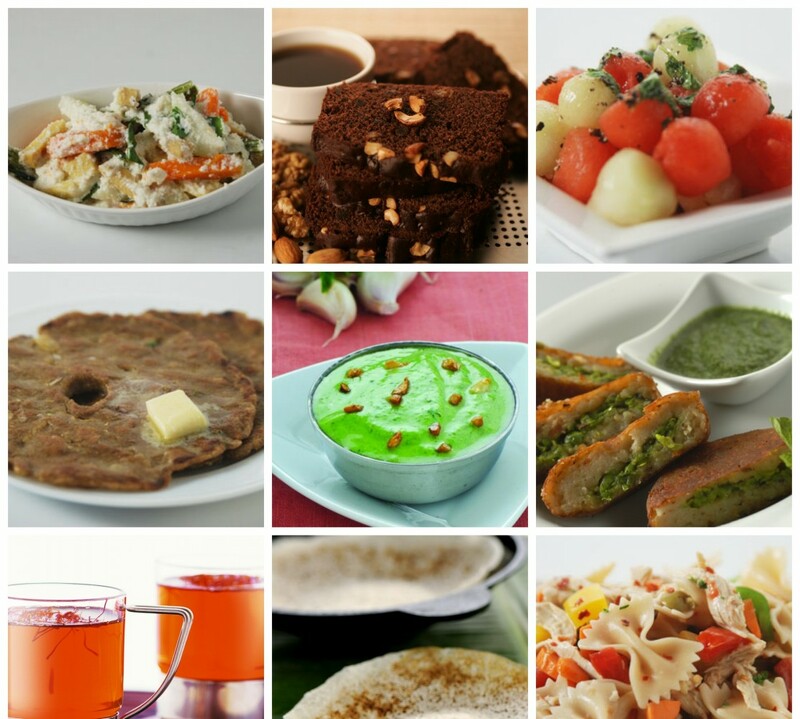 Besides this, shoots for FoodFood’s Secret Recipes are still going on. 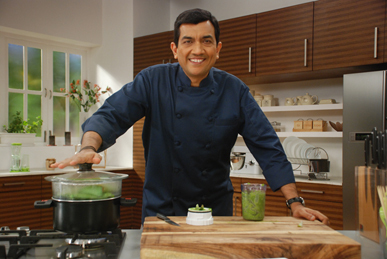 Its exciting as ever to cook up recipes of all the lovely fans and their secret unique dishes. To go on till tomorrow. Many societies and a few malls in Mumbai will witness fierce competition in making of dals to match the recipes of our Chef in a new programme of FoodFood titled Maa ki Dal. Chef Anupa will judge the events. 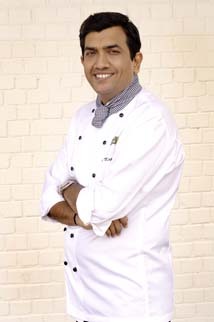 Also, Master Chef India Season 3 shoots to begin very soon…this week itself!